Although it’s by no means a word-processing or even page-layout program, Elements does give you ample tools for creating, editing, stylizing, and even distorting type. You might have an occasional need to add a caption, a headline, or maybe even a short paragraph to an image. 1Open the Photo Editor and choose Expert mode. Expert mode is shown in this figure. 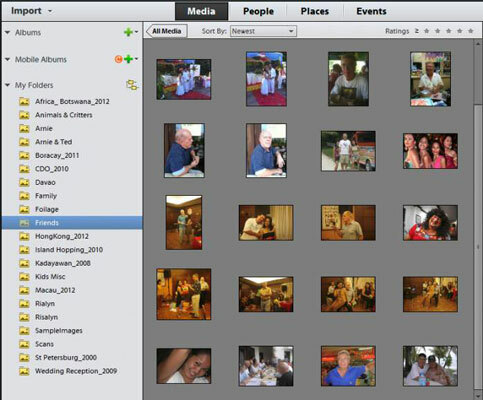 2Open an image or create a new, blank Elements file. 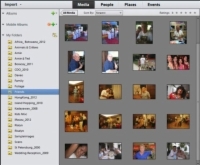 As a matter of standard practice, you open photos in the Photo Editor from thumbnails shown in the Organizer. 3Select the Text On Custom Path tool from the Tools panel or press T to cycle through the various type tools. You can also select the Text On Custom Path tool from the Tool Options. It looks like a capital letter T on a line. 4Drag your tool over the image to create the custom path of your choice. Refine your path by selecting the Refine Path option (labeled Modify) in the Tool Options. 5Drag the anchor points or path segments with the tool to get your desired shape. You can specify additional options, which are common to all the type tools. 6Position your mouse pointer over the path and, when the cursor icon changes to an I-beam (capital letter I with a crooked line crossing over), click the path and type your text. The text wraps along the shape’s path. If you type more text than can fit on the path, an overflow icon appears. Adjust the path as needed so all the text appears. 7When you’re done entering your text, click the Commit check-mark icon or click the red Cancel icon to start again. Elements creates a new type layer. You can edit any attributes, such as font and size, just as you can with point or paragraph text. 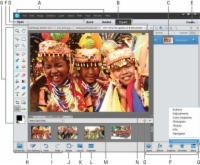 8To create a new custom path, select the background layer and repeat Steps 3 through 7.